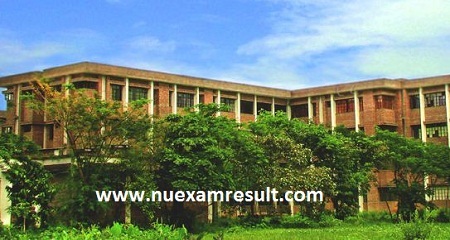 Shahjalal University of Science and Technology is known as SUST. The university is one of the leading Science and Technology universities of the country which has been providing quality education for a number of years. The information of admission circular of SUST for the session of 2017-18 has been given here. The admission date of the varsity has also been declared and a number of students will be looking for that with a view to admitting into the prestigious varsity of the country. Today we will let you know all the details of SUST admission circular. SUST admission test date has been announced recently. According to the recently announced schedule, SUST admission test of 2017 will be held on November 18, 2017. The application process will be started soon. The applicants will be given the chance to go for application by the first few days of November. After that a highly competitive admission test will be taken based on that the candidates will be selected for admission into SUST. Applicants should have fulfilled minimum requirements to apply for the admission test as per as the rules and regulations of the varsity. For A unit admission total GPA in SSC and HSC should be at least 6.50 with no less than GPA 3 in SSC or HSC. For B unit admission the GPA total should be at least 7 while minimum of GPA 3 is required in SSC or HSC. How to Apply for SUST Admission Test? SUST admission apply can be completed via mobile message. The SMS format has been given below. SUST<space>First 3 letters of HSC Board<space>HSC Roll<space>HSC passing year<space>SSC Board first 3 letters<space>SSC Roll<space>SSC passing year<space>A Send it to 16222. To learn more related to SUST admission notice and result for the session of 2017-18, please stay here with us and read us regularly.